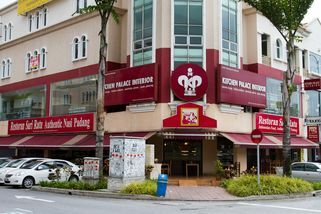 47-1 GF, Jalan PJU 5/12, Dataran Sunway, Kota Damansara, Petaling Jaya, 47810 Selangor. From the traffic light infront of Sunway Giza Mall, turn right and turn right at the junction. Turn left and go straight, it is a corner lot opposite Giant Shopping Centre. 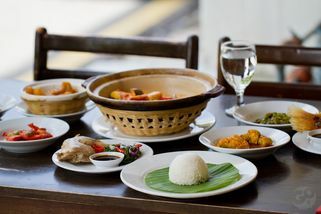 Sari Ratu is a restaurant franchise from Indonesia that specialises in Nasi Padang, the cuisine of the Minangkabau people of Sumatra, presented in a clean and comfortable setting where the focus is on quality, authenticity, hygiene and good service. Situated on a large corner lot, there are full-length windows on two sides to admit daylight. 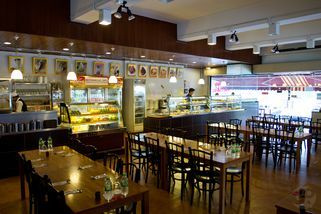 Besides being convenient for office workers, it’s a nice place to bring the family for a meal. 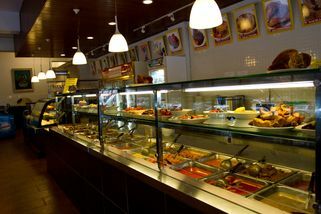 The selection of dishes here is appetisingly displayed in a clean, well-lit glass case. 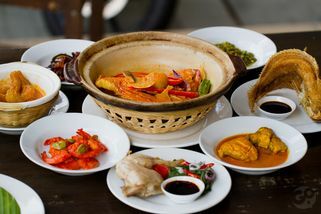 Besides the more familiar Rendang and Ayam Goring, there’s Ikan Nila Goring (fried tilapia), Ayam Pop (chicken steamed, then fried) and GulaiTunjang (curried beef tendon). 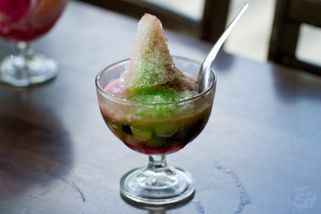 For dessert try Es Teler, an Indonesian version of ABC. One of my favourite Padang restaurants. There are a few imitators out there, but none can beat their authentic taste. I love the Gulai Tunjang, Special Fried Chicken, the Flying Fish, and the Tauhu Telur. 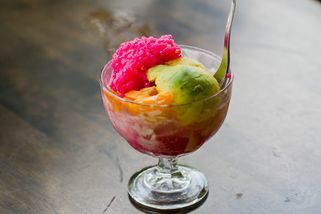 The Es Teller is the perfect dessert to complement the meals. I order it every single time I visit this place. Just a word of caution though - if you're like me, you'll probably need to order more than a bowl of rice (or two!). The price is reasonable for the quality that you get.